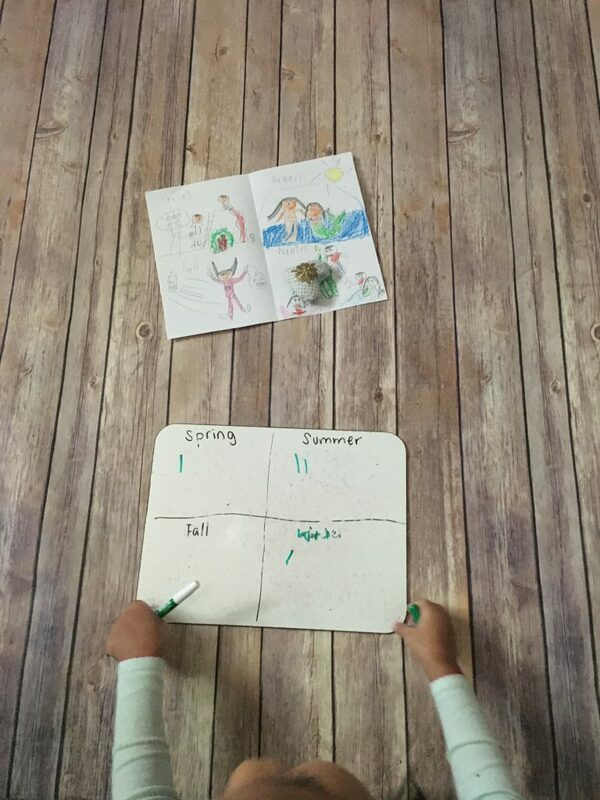 A few weeks ago, my six-year-old had asked me, “What makes the different seasons?” Lucky for us, I found the perfect opportunity to help address her questions through Homeschool Complete. If you are not yet familiar, Homeschool Complete offers an all-inclusive curriculum covering all subjects and centered around thematic units. And one of the many units they have is on seasons! 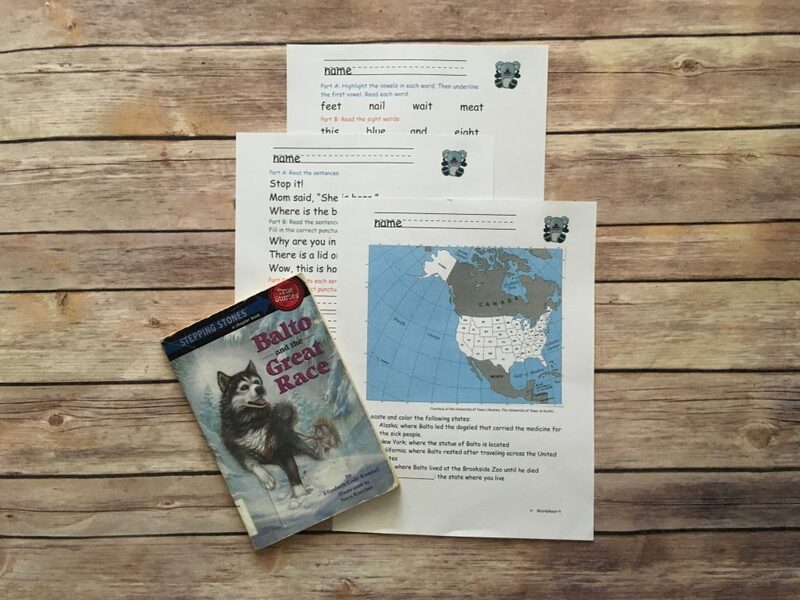 Using the Complete Unit Study: Seasons (Grade 1) from Homeschool Complete I was able to help my children discover more about Earth’s seasons with a well-rounded experience. 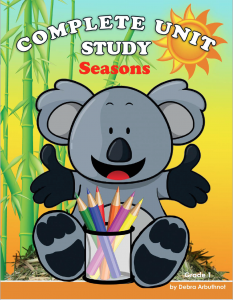 Homeschool Complete’s Unit Study on Seasons was very thorough, and detailed, with clearly written steps. This particular unit has 32 pages of lesson activities in every subject to teach about the four seasons. 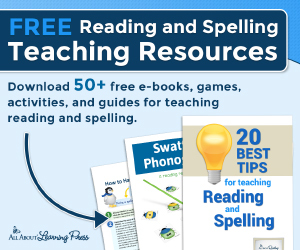 It includes some worksheets for the student to complete, but mostly a variety of hands-on activities to do with your child to cover the content. For those who need that extra guidance, there is a section on teaching procedure and tips of what to say when teaching. 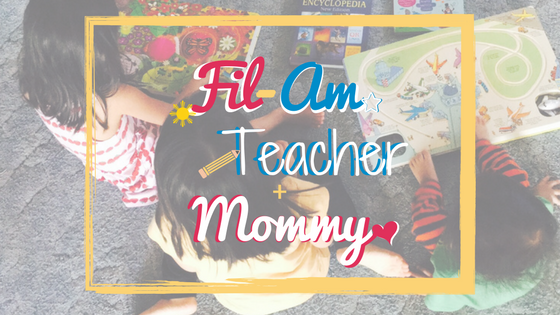 Although it is labeled for first grade, I was able to do many of the activities with both my first and third graders, and my toddler enjoyed many of the hands-on games and baking too. For each lesson, it lists the skills that will be used or learned, a list of materials, and sequenced steps. The overview of the recommended/required materials for all four lessons was extra helpful for me to allow me to prepare ahead of time and anticipate what will be needed. Throughout the unit, it requires a variety of literature and additional suggested literature. We love using literature in our curriculum, so this was a treat for us. Another main benefit of this thematic unit is the fact that it is cross-curricular so we were able to cover several subjects with one unit. I love when things intertwine because it helps learners make connections across the board. Here are some of the types of activities we did in the particular curricular areas. We read many children’s books, including picture books and a chapter book. All of the books are related to at least one of the four seasons, and all four seasons were covered with the list of books. 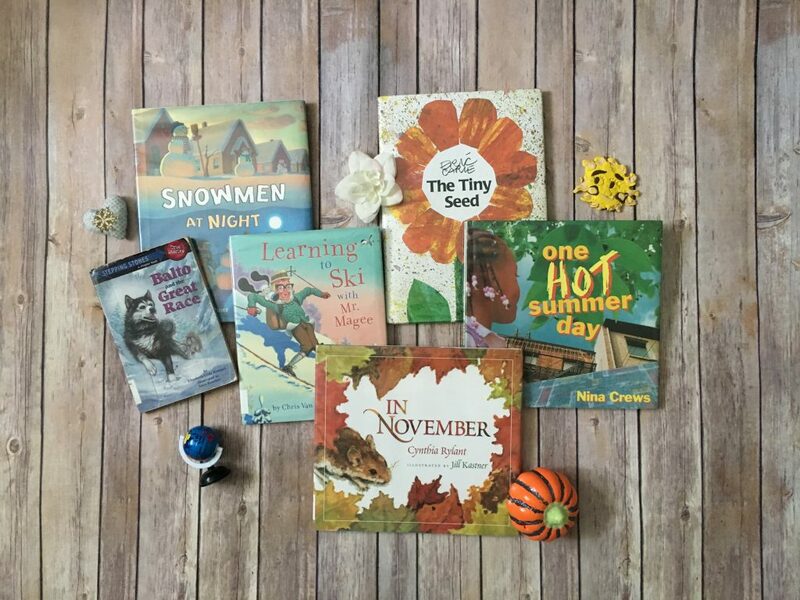 Even though we are in the middle of this heat wave during summer, it was nice to cozy up with books on Fall, Winter, and Spring as well to help us imagine each of the seasons and their unique climates. I read aloud to my children for the most part. And with some of the books, I had my first grader read aloud parts if she was able to. Or, my third grader could also read aloud to us or to her siblings as well. 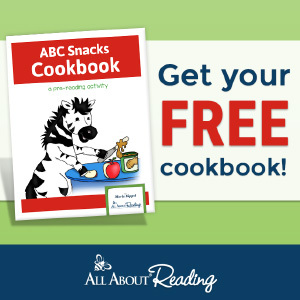 In this unit study, there are many opportunities for your child to also demonstrate his/her reading comprehension of the books by retelling the stories afterward. 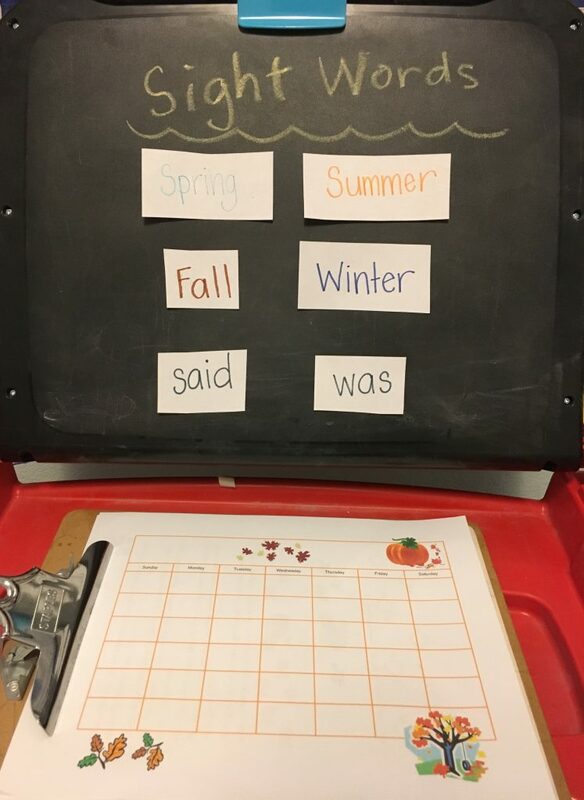 In addition to reading, the unit study also includes sight words for each lesson. It is a great way for your child to increase his/her knowledge of the written words. My daughters started a daily journal for this unit. Writing in a journal is a very effective way to jot your thoughts and feelings down. Each lesson included a journal prompt and it was a great tool to check for understanding, to elicit curiosity, and to express their thoughts about the topics we covered. On top of being able to free write in the journal, there also were activities on the mechanics of writing. My daughters were able to review punctuation and capitalization in a couple of the lessons. One of the math concepts covered in the unit is on the calendar, which aligns perfectly because the seasons encompass the calendar year. So knowing how to fill in the dates within the month, and reviewing the days of the week, months of the year was very helpful. It helped to build up to discussing what months fall under certain seasons. In addition to the calendar and ordinal numbers, there were several other math concepts including fractions, symmetry, and comparing numbers. We liked that it wasn’t just worksheets to reinforce the concept, but also hands-on activities through manipulatives, games, art, and even cooking. Below is a picture of my daughter writing tally marks to represent the number of times her beanbag landed on a picture of a season that she drew. It was enjoyable for them to get up and participate in a physical activity, playing a math game. Science was embedded throughout the whole unit since it was on the seasons of the Earth. With each lesson, we were able to discuss the characteristics of autumn, winter, spring, and summer. My daughter’s main question from the get-go was, “What makes the different seasons?” In the first lesson of the unit, we were able to demonstrate the answer to these questions. It was an eye-opener for her to be able to see a model representation of the Earth and the sun. She could see just how the different parts of the Earth were being impacted by the amount of sunlight hitting the Earth. 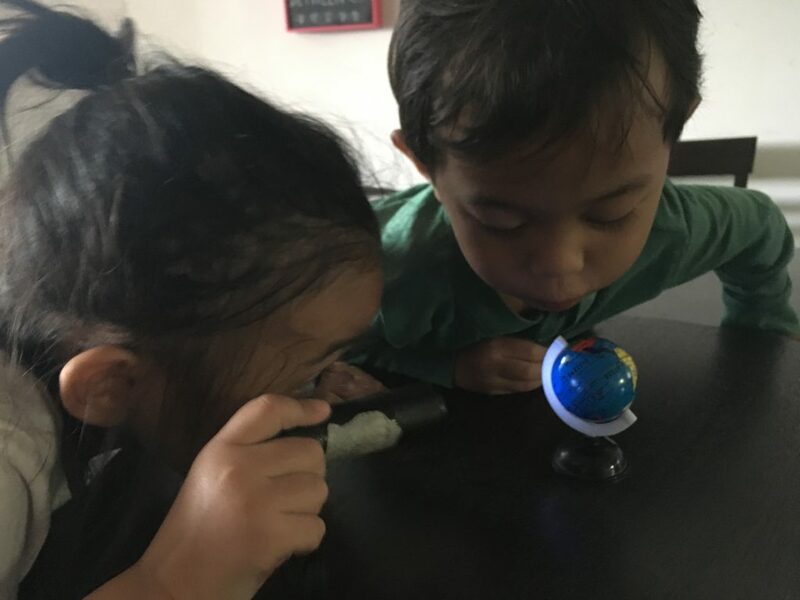 Seeing Earth’s rotation, revolution around the sun and its tilted axis were an effective visual for my kids to answer the question on the reason for seasons. 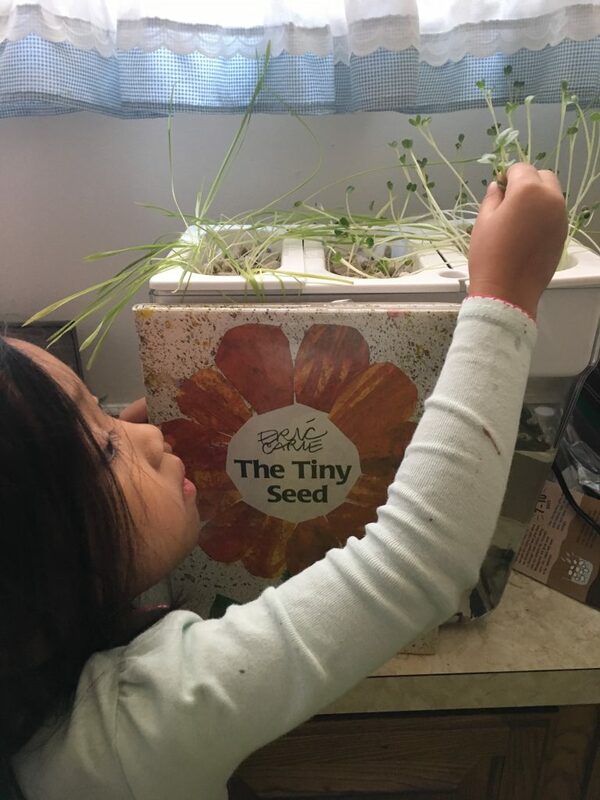 We also got to experience “Spring” by watching seeds grow and reading The Tiny Seed by Eric Carle. The kids learned about the scientific method and also made predictions and observations along the way. For Social Studies, we read Balto and the Great Race, a true story about a heroic dog who saved children during an epidemic of diptheria. It was a good tie into the unit because we discussed the harsh cold climate in Alaska, and the kids learned a bit of geography along with a significant event in history. The use of food in lessons is always a big hit! There were a couple of enjoyable and even entertaining activities that incorporated food. 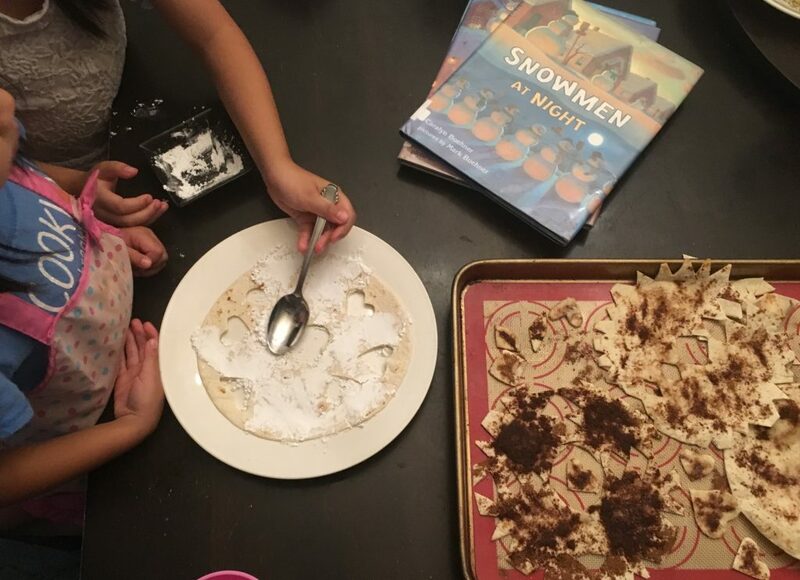 For a winter-themed activity, we read Snowmen At Night and then the kids made tortilla snowflakes. It was simple and fast for the kids to help make, and they really devoured their creations. We were able to tie in the math concept of symmetry as well when cutting up the snowflakes. 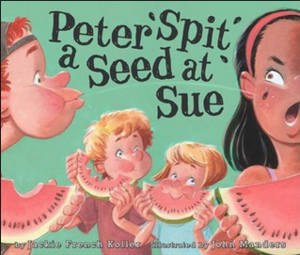 For a summer theme, one of the books listed to read was Peter Spit a Seed at Sue. 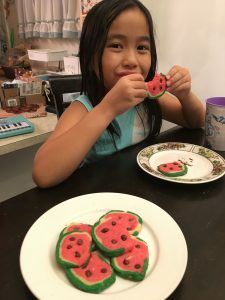 So, going along with this summer theme, we used watermelons in a couple of activities. 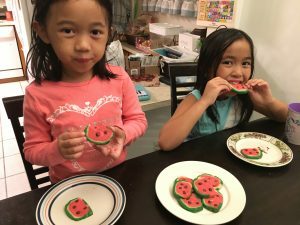 One activity was to bake watermelon cookies. Anytime we can bake, my kids and I are pumped. Baking is something enjoyable for us and my kids are learning great life skills. They also are practicing their skills in reading, following directions, and math (for the measurements of ingredients). And we get a tasty treat at the end of it (if we did it correctly). So all in all, we were very excited that the Complete Unit Study included baking as one of the activities! For people of faith, this unit gives suggestions of how to incorporate the Bible with related verses and discussion questions that tie in God’s work and the beauty of the seasons. It is a beautiful way to remember God and his Creations. 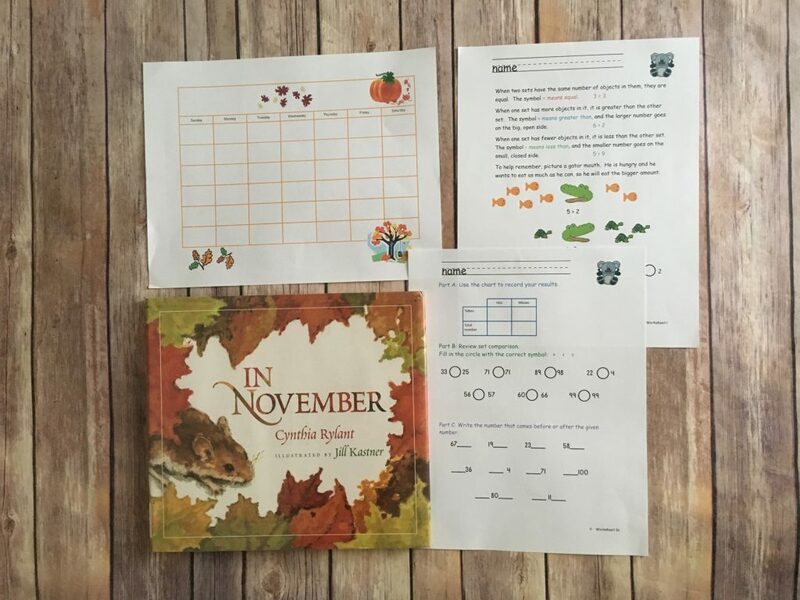 Homeschool Complete’s Unit Study on the seasons is very well-rounded and jam-packed with activities. I talked about many of the activities, but there are lots more not captured in this post. 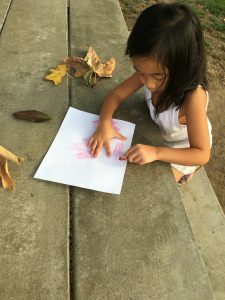 My children enjoyed each lesson and got a better understanding of the seasons using an assortment of children’s literature, hands-on activities, and printable activities. You can learn more about this unit and other thematic units at Homeschool Complete.